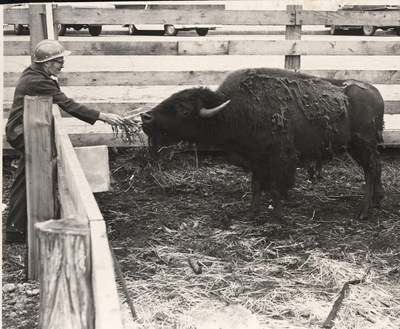 Morris Jenkins and Gyppo the buffalo at Cle Elum, Washington. "Jenkins, Morris" (1960). Frederick Krueger Photographs. 392.